The data from online and onstream instruments are the very foundation on which most concentrator plants process control systems are built. Analyzer performance has direct effect on productivity. Reliable and representative data enables good decisions. Poor data leaves you guessing. It does not matter whether the process control is manual or automated, you still need data to decide on actions to take and adjustments to make. The productivity and profitability of the plant relies on accurate data delivered on time, so it makes a lot of sense keeping your instruments running and in good condition. Read this blog post for tips on how to increase analyzer availability. This post will focus on how to boost instrument performance. Download the checklist for analyzer performance (pdf, 57 kB, opens in new tab or window), it is a condensed version of this post. Imagine a concentrator plant producing 20.000 tonnes of zinc per year. The zinc spot price is currently 2.815 USD/tonne. The daily production is then 55 tonnes of zinc with a value of USD 120.000. If the onstream XRF analyzer of this plant is out of operation, it costs the plant somewhere in the range USD 1-4.000 per day. Or USD 1.200 per percent and day. Having an analyzer but not keeping it trimmed is not quite so expensive, but doing so over time certainly adds up to significant amounts of valuable product being pumped out with the tailings. In addition to that you may also be wasting expensive chemicals and energy because of the flawed process data pointing you in the wrong direction. The figures may vary depending on what analyzer instrument that is being discussed. However, there will always be a loss involved if you make poor decisions based on bad data. And it seems unnecessary as it can be easily avoided. Jones et al. concluded in 1991 that the payback time for an onstream analyzer investment is between 4.8 and 5.3 months. Though the figures may vary depending on application and type of analyzer, it still gives you an idea of the cost you may face over time. The instruments need proper attention, do so and they will reward you with good quality data. Keeping the instruments trimmed and tuned is not only necessary – it is profitable! The tips here and the linked checklist apply to many instruments used for on-line monitoring, it is meant to be very general. It spans over both strategic and practical matters to attend to. The aim is to give you a quick start guide to continuous trimming and improvement of your instruments. The first five items relate to the analyzers software. With VPN connections and remote desktop capabilities the modern analyzers, also the ones out in the plant, can be maintained from the convenience of your office. There is simply no reason not to do this regularly. The other five items are things to check on the analyzer instrument and the sampling system. A representative sample is a prerequisite for an accurate assay. The samples need to be representative under all conditions as well. Regular care and maintenance of the instrument will go a long way when looking for the edge of performance. Is the instrument giving you stable readings? Check samples that you know are stable, if your analyzer has a reference sample use that. Check trend curves for the reference sample, it should be stable with little or no variation. If there are variations over time, follow up with investigations on what may be causing these variations; are they seasonal, do they vary over the day and so on? When was the last time you collected calibrations samples? Use calibration samples to adjust and update type constants or coefficients regularly. Our customers do this every 1-2 weeks but some who have challenging ores do this on a daily basis just to confirm that they are in the sweet spot. Make up a strategy for how often you need to collect calibration samples. You need them not only for the daily/weekly trimming but also for building new regressions once or twice a year. More calibrations samples gives better assays, which in its turn renders better productivity of the plant. This is one of the most important points in this post. All instruments are subject to aging, all processes have variations over time. The instrument’s calibration needs to be updated regularly to compensate for these and many other factors. The instruments providing you with the information needed to control your process deserve a lot of attention. If the data they provide is not accurate, you will not get the most out of your raw material. Even a slight inaccuracy will cost you a lot of money over the lifetime of the instrument – or the mining operation. Analyzers are in many cases a substantial investment, but as said above they pay off quickly. Treat them well and you will be rewarded with best possible productivity. Check the measurement sequence. If you have an instrument analyzing several sample streams, pay attention to the workflow of the analyzer. Are streams analyzed as often as needed? Can you increase the frequency on the most important streams and can you bear with fewer assays on some streams? Take the time to thoroughly analyze your needs, how often are samples from various streams needed? Maybe it is time to look for an analyzer with higher capacity? Check measurement times. Do you get sufficient accuracy and repeatability from your samples? Can you shorten measurement times and get a quicker turn-around time? Maybe it is time to look for an analyzer that can provide same or better quality data at a higher pace? Is the sampling system OK? Representative samples are key to accurate assays. Not only when making timely adjustments but also when building calibrations, where analyzer data is compared to lab data. If these to samples are not identical you will build your calibration on flawed data. Check primary samplers and sample flow, are there any bottlenecks? Do they need maintenance e.g. new cutters or nozzles? Check primary and secondary sampling systems for wear or clogging. Is the instrument clean? Dust and dirt buildup can interfere measurements. Remove dust and dirt, replace mylar windows regularly. Are sample streams splashing in primary or secondary samplers? Splashing is an indication of a sampling system not in tune. Maybe the sampler or pump is over- or undersized? Splashing can contaminate one sample with another, which is quite obvious. Splashing can also lead to poor representativity in the sample, as smaller fractions will move easily where heavier fractions will tend to keep their direction. Is the temperature around the analyzer stable? Temperature fluctuations can affect sensitive instruments and components. Check air and cooling water temperatures and replace any filters. Is the flow cell rinsed properly between measurements? 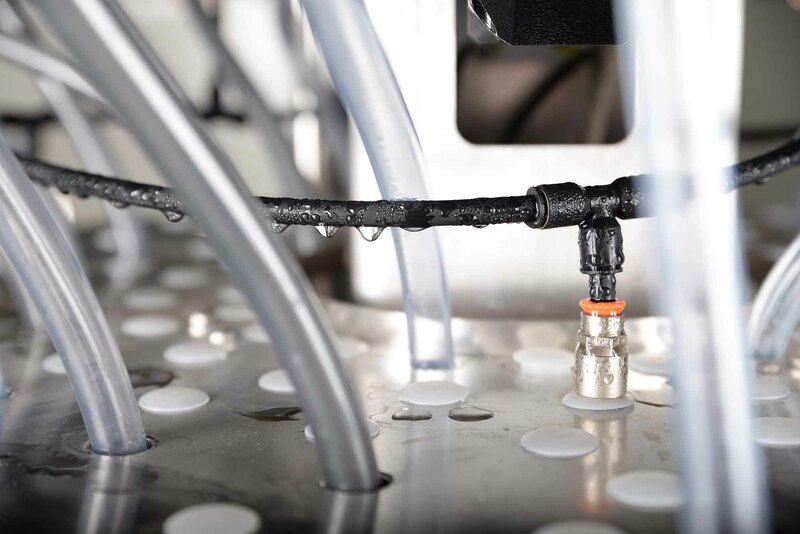 Measurement cells, or flow cells, must be properly rinsed between measurements to avoid cross contamination between samples. Verify that valves operate properly and that rinsing water is clean. Consider if it would be beneficial to invest in an analyzer where samples are not mixed in the same flow cell and get rid of the problem altogether. Click here to open the checklist, sharpen your pencil and go through the list of to-dos. Easy-to-follow instructions for increased performance, use them as guidelines and adapt them to your needs.